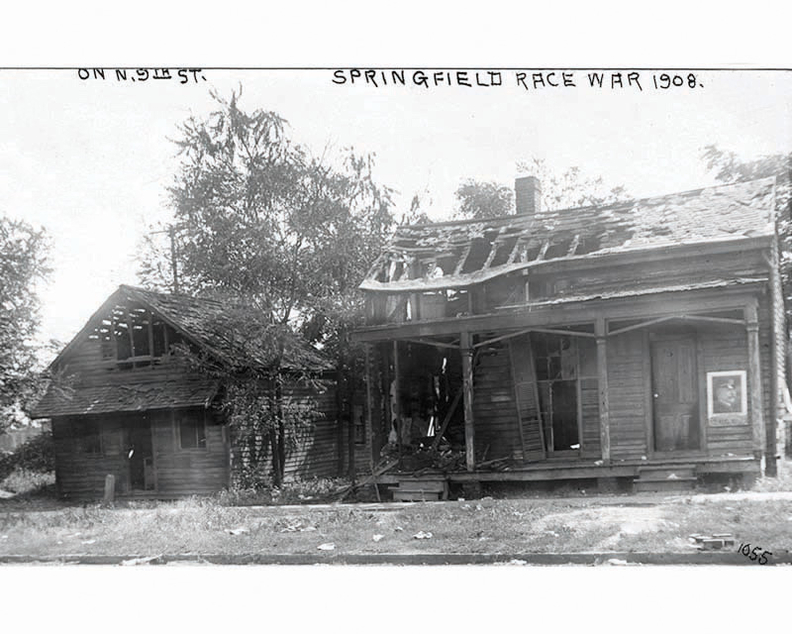 A contemporary photo shows a home damaged during the 1908 race riot in Springfield, Ill.
A Springfield, Ill., hospital is creating an exhibit to commemorate the town's 1908 race riot that sparked the founding of the NAACP. The riot is considered one of the worst in U.S. history; white mobs destroyed black homes and businesses and seven people died. HSHS St. John's Hospital's exhibit will include historical photos and writing, but the centerpiece will be artwork showing nuns from the Hospital Sisters of St. Francis order caring for riot victims. The hospital is seeking artists to create the piece. “We were doing a lot of exploration about how we should educate the public, and bring prominence to the event because it was an important event in the history of our country, the history of Springfield and the history of our hospital,” said Dr. Charles Lucore, CEO of HSHS St. John's, which was founded in 1875. 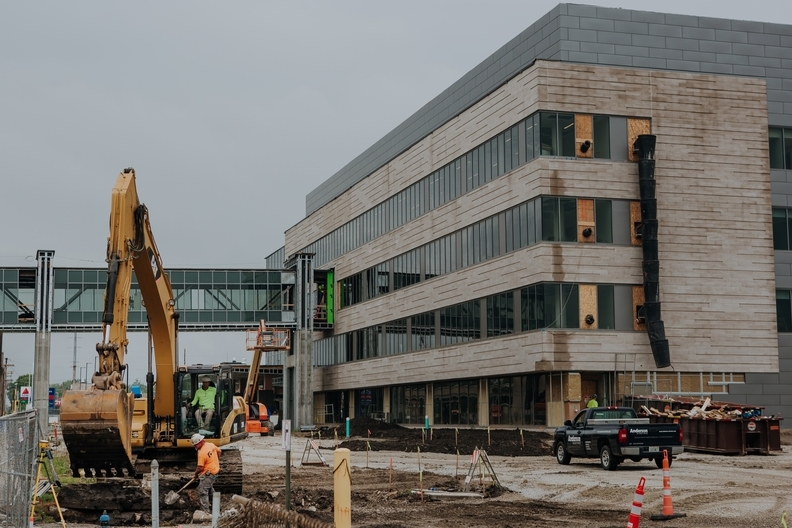 The exhibit will be installed at the hospital's new Women and Children's Clinic, expected to open this month not far from where foundations of homes burned in the riot were recently excavated. Though multiple anti-black riots broke out in the North in the early 20th century, the 1908 Springfield riot made national headlines because of the town's ties to Abraham Lincoln, the “great emancipator.” “Abraham Lincoln made Springfield famous and the race riot made Springfield infamous,” said Nell Clay, president of the Springfield and Central Illinois African American History Museum, in a news release. Lucore said the hospital hopes the community will see the exhibit as a positive step to recognize a sad moment in history.